Photo from Kristine Vejar’s website, www.kristinevejar.com. 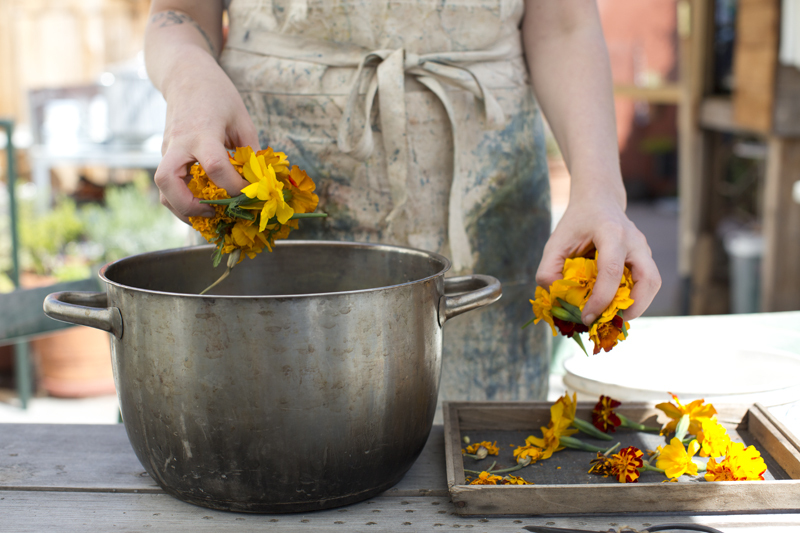 Kristine Vejar is a natural dyer, teacher, owner of A Verb for Keeping Warm, and author of The Modern Natural Dyer (Abrams, 2015). A Verb for Keeping Warm occupies a 1700 square foot space in Oakland, California and is comprised of a shop selling yarn, fiber, and fabric, two classrooms, two dye studios, and a natural dye garden. Through classes focused upon natural dyeing, knitting, sewing, spinning and weaving, and via the materials she carries, many of which support US based farms and manufacturing, she strives to preserve longstanding textile traditions and to support others working to create a textile-centered art practice. In an attempt to cultivate textile artists, create jobs in textiles, and to support and cultivate a local textile economy, Kristine has started a number of projects such as Seam Allowance, a group which meets monthly who have pledged to make at least 25% of their own clothing. In 2014, A Verb for Keeping Warm released its first line of sewing patterns, drafted by Oakland local, Tasa Gleason.